Disrespect seems the norm these days. We particularly see it in the language of many of our elected and appointed officials. Unfortunately, when unacceptable language or behavior becomes a visible norm, that language or behavior slowly permeates the entire culture, including the work place. While government supervisors may find it difficult in this context, maintaining a respectful work place is essential to an efficient and effective work place. Disrespect in the work environment is expensive. A Michigan State University study noted, on average, workplace incivility costs organizations $14,000 per employee per year. This same study found that that incivility at work caused mental fatigue and people experiencing mental fatigue tended to act uncivil toward others. Christine Porath and Christine Pearson surveyed 800 managers and employees in 17 industries on this topic. They found that people who felt they were poorly treated lost commitment to the organization, reported their performance declined and said they deliberately reduced the quality of their work. Disrespect causes turnover and replacing employees is expensive. A 2014 study by the Society for Human Resource Management indicated that an average hire cost $3,337 and took 35 days. The same study indicated that 72 percent of employees listed respectful treatment as very important in employment — higher than benefits (63 percent), compensation (61percent) and job security (59 percent). A Harvard Business Review study found that being valued is one of four essential employee needs that increase employee engagement and retention. Federal government supervisors have an unusual challenge in maintaining a respectful work environment. First, government employees are providing services to a population that does not trust them. A 2017 Pew Research Center study noted that only two in ten Americans trust government. Second, this mistrust can manifest itself in hostility to the government service provider. For example, a Department of Justice study noted that government employees experience higher workplace violence than private sector employees. Third, the current administration has not filled many leadership positions. This has resulted in ambiguous management support in many federal agencies. Finally, federal retirements and resignations are occurring at a faster pace and many of these vacancies are going unfilled causing the remaining employees to be overworked. Maintaining a civil and respectful work place can offset these challenges. Johnny Duncan notes that respect increases employee satisfaction and engagement. It creates a fair environment and reduces stress. Finally, it improves knowledge sharing and productivity. Most importantly, supervisors who treat employees respectfully are the foundation of civil work places because employees model supervisory behavior. 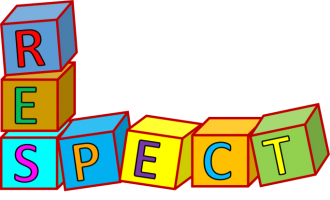 The respectful supervisor develops respectful employees. Supervisors demonstrate respect and civility by avoiding some behaviors and adopting others. Emmie Martin suggests a behavior to avoid includes bullying which involves sarcasm, name calling, silent treatment, gossip and browbeating. Other general disrespectful behaviors supervisors should shun include responding untimely to voice or email messages, routinely starting meetings late and discussing subordinate deficiencies with other subordinates. Micro-managing and other displays of mistrust suggest that employees are not capable. Providing negative feedback only at performance review time eliminates an employee’s ability to continuously improve performance. Supervisors demonstrate respect by considering the impact of words and actions before saying or doing anything. Respectful supervisors consider the needs of others in their decisionmaking. Respect involves encouraging and valuing employee perspectives. Employees do not expect agreement from management; however, they do expect to be able to share their viewpoints and receive honest consideration of their ideas. Respectful supervisors accept that conflicts will happen in the work place and they understand they are responsible for addressing the underlying causes. 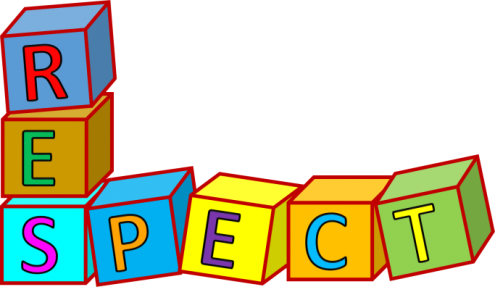 Respect focuses on finding solutions to problems rather than becoming angry over errors. Respectful supervisors rely on facts rather than assumptions in dealing with work place situations. Even in the most respectful environment, an occasional disrespectful incident can occur. In such cases, the supervisor needs to raise the problem with the employee and develop a system to avoid the disrespectful behavior in the future. The website salary.com provides five steps to do this. First, after discussing the disrespectful behavior with the employee, the supervisor needs to be available to the employee as an outlet when future potential disrespectful situations arise. Second, the supervisor needs to be firm in explaining that disrespectful behavior will not be tolerated. 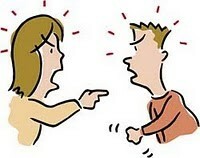 Third, the supervisor must be a good listener and allow the employee to explain the circumstances of the behavior. Fourth, the supervisor should be meticulous in noting and documenting all instances of disrespectful behavior so that the supervisor has complete and accurate information when discussing the behavior with the employee. Finally, the supervisor must be objective in assessing the circumstances of the situation. Disrespectful treatment tends to stir dysfunctional emotions in the person treated poorly. Good supervisors cannot afford the luxury of such emotion in addressing bad behaving employees.